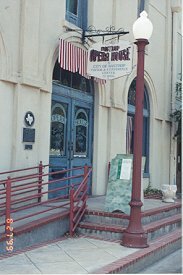 The Bastrop Opera House in historic downtown Bastrop, Texas. 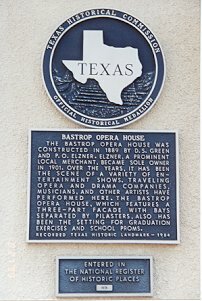 The Bastrop Opera House is located at 711 Spring Street. The phone number is 512/303-6283 and for ticket information 512/321-6283. 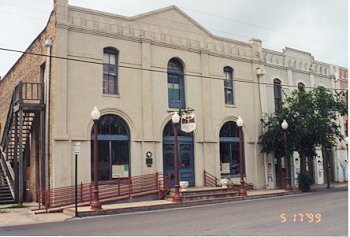 The Opera House was built in 1889 by Bastrop businessman P.O. Elzner. 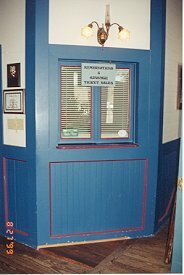 The Opera House sponsors Theatre Productions, children's theatre, arts and crafts fair, and the annual Yesterfest pioneer heritage festival. Chester Eitze is Director of the Opera House. Click here for the Bastrop opera House schedule.